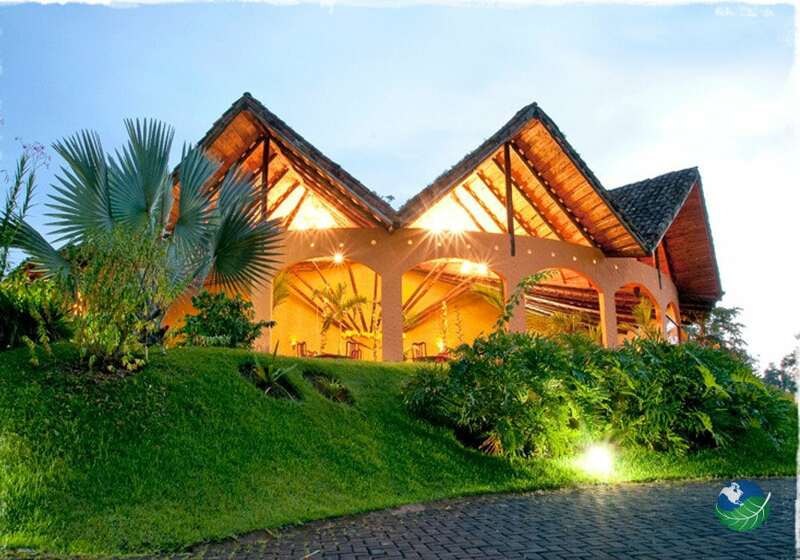 This hotel’s located by the famous Arenal Volcano in Costa Rica. 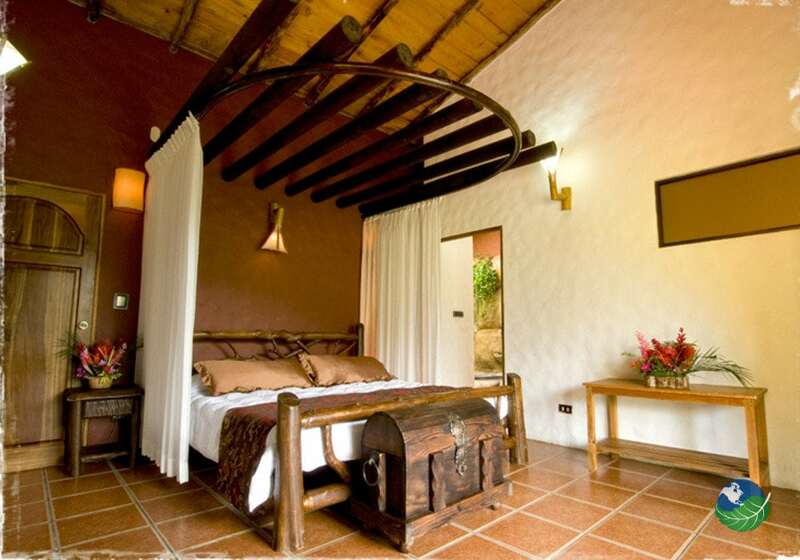 With outstanding rooms and amazing views, this hotel is considered one of Arenal’s luxury hotels. 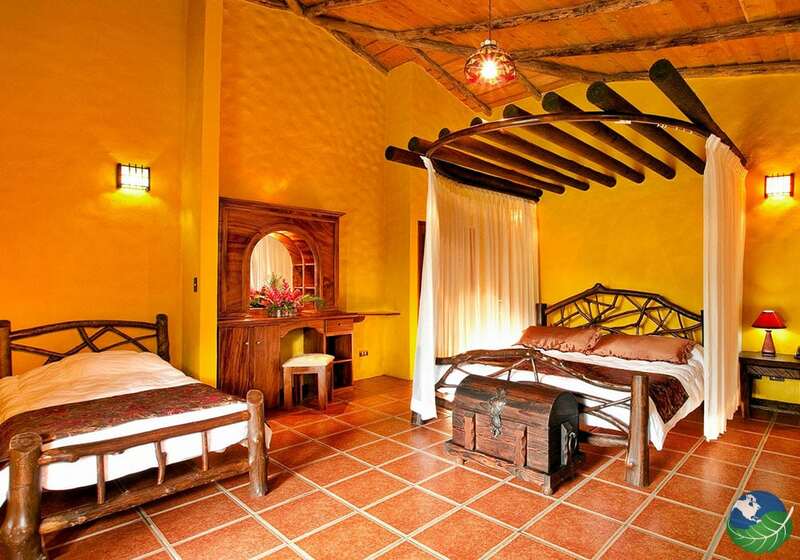 The Mountain Paradise Hotel offers private bungalows situated discreetly around the property. Giving you all the privacy and romance you look for when on vacation. Also, surrounded by tropical gardens and with easy access to the pool and its amazing restaurant. 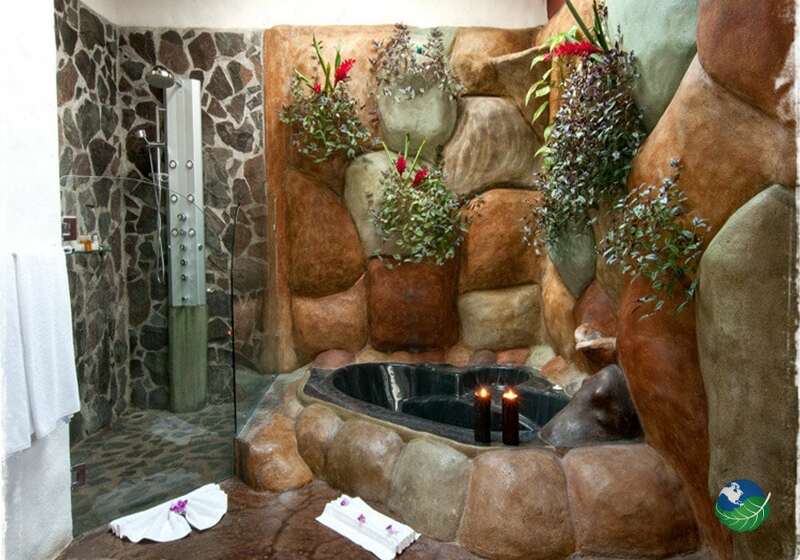 The Hotel Mountain Paradise is sure to be a highlight of your vacation stay in Costa Rica. During your stay at Hotel Mountain Paradise, you are guaranteed exceptional and personalized service from the professional staff. The staff is friendly a helpful and will respond to any question or concern you may have during your stay. When requested, the hotel can provide you with free transportation to the nearby hot springs. Have a day of relaxation or visit the town of La Fortuna for a day of exploring. If you would like to participate in off-site tours and excursions, the staff can help you arrange any tour you, your family, or special someone would like to experience. Each tour is carefully arranged to satisfy your needs and are professionally guided by experienced locals. 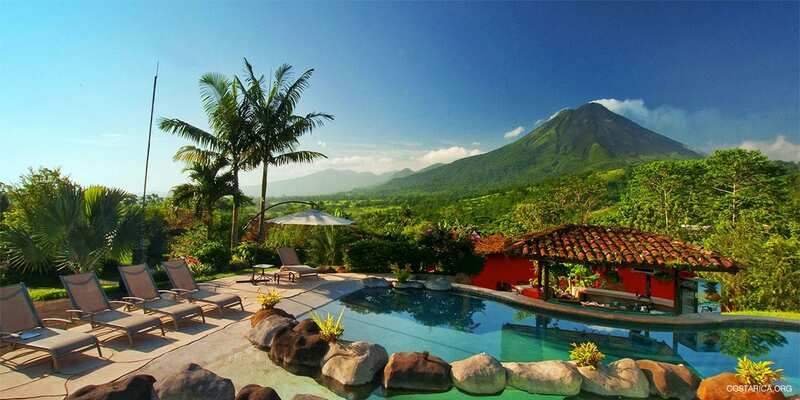 Also, enjoy a day of zip lining, horseback riding, or a full day of hiking up the beautiful Arenal Volcano. Take advantage of the amazing perks of Hotel Mountain Paradise, and turn your vacation into a true paradise. All the rooms are complete with the hotel’s signature “My Home Intelligent Systems,” a king size bed, fine wood furniture, flat screen televisions with cable, wireless internet, international access telephones and a jacuzzi. 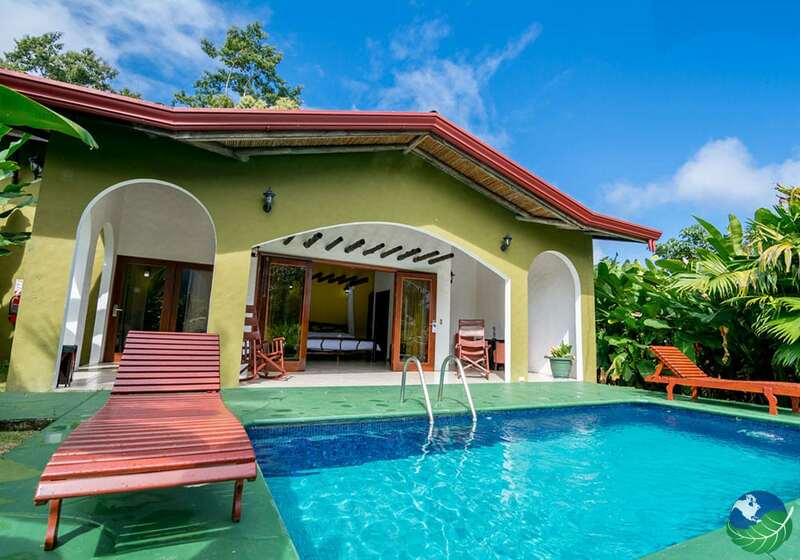 Also, two-bedroom Suites are huge 1506.94 SQ foot suites with a private garden swimming pool and view of the volcano, a sitting area, and two bathrooms with jacuzzi. The Junior Suites are 753.43 square foot and feature an outdoor jacuzzi facing the volcano, private garden, and impressive rock shower. Another Part of the experience at Mountain Paradise Hotel is eating in their famous restaurant. 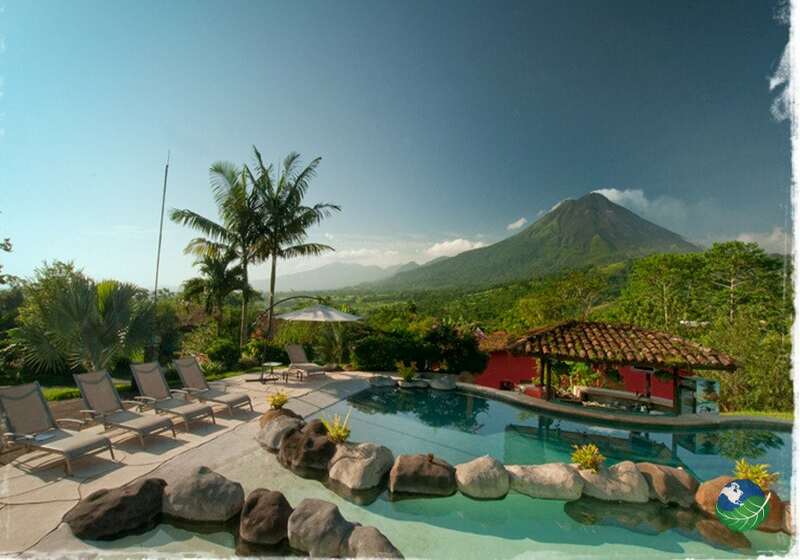 Enjoy a romantic gourmet dinner with a breathtaking view of the imposing Arenal Volcano in Costa Rica. The restaurant’s designed to make you feel like you are eating al fresco surrounded by a tropical garden. Another highlight of the hotel is their exquisite pools, both for adults and children; you can spend a relaxing afternoon bathing in the naturally heated waters while enjoying a cocktail from the wet bar. The 46 rooms place into three categories: Master Suite, Junior Suite, and Premium Suite. Each room comes fully equipped, For Example, “My Home Intelligent Systems,” a king size bed, beautiful wood furniture, wireless internet, flat screen TV with cable, telephones with international access and your jacuzzi. On top of all the standard features, the two-bedroom suites have their private swimming pool, and junior suites consist of an outdoor jacuzzi facing the enchanting volcano, an individual garden, and rock embedded shower. With all the fabulous features included in your suite, you will never want to leave your room!